Everyone has their own technique at lighting a wood burning stove. 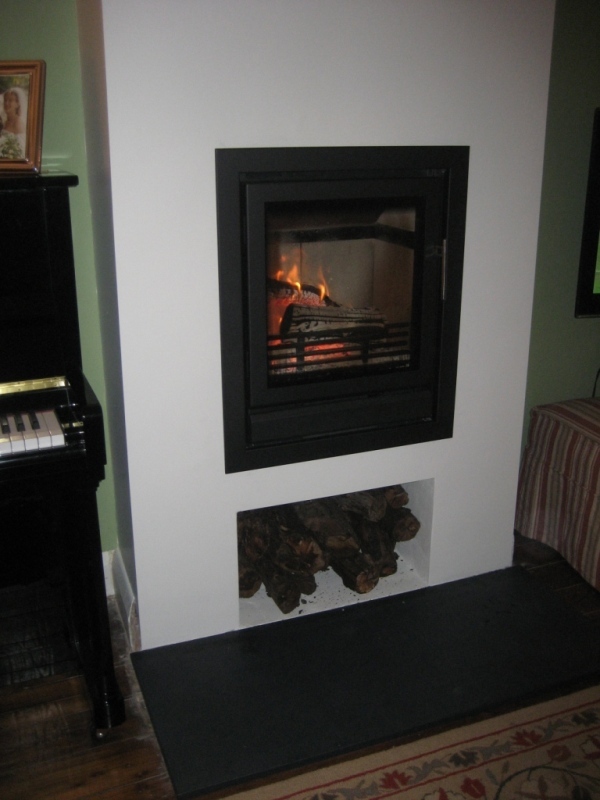 Also each stove will perform differently to the type of logs you use, and to where and how you position them. 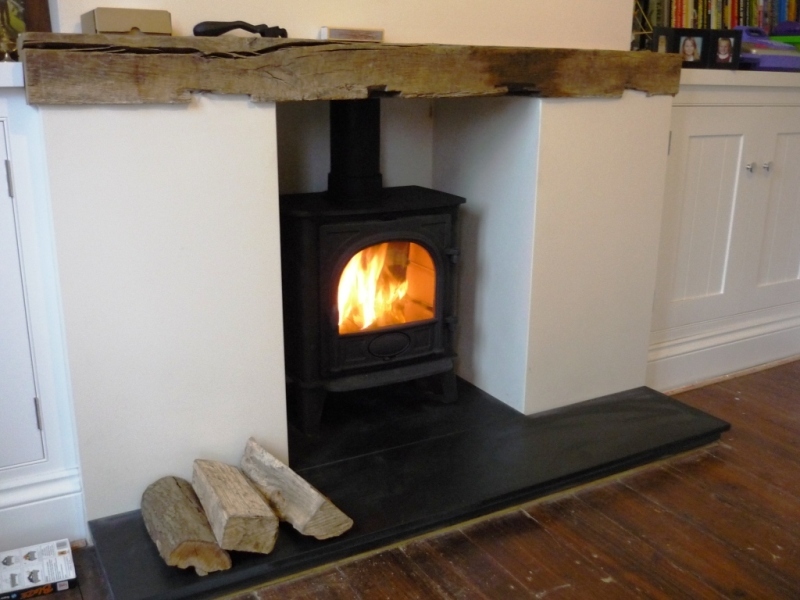 After testing out the numerous stoves installed for clients over the years, The Billington Partnership would like to share their own ‘fail proof’ method of lighting a stove properly and getting as much burning time out of a fire as possible. First and foremost it is always imperative to use well-seasoned wood (preferably cut and stored for at least 1 year plus but the longer the better). Logs should be stacked outside and under a rainproof cover but in a well ventilated, open area so that air can get to all ends of the logs in order for them to season correctly. In terms of the best wood to burn – hard woods such as oak or ash are good value for money as they are denser and will burn for longer. You will need the following essentials in order to get your stove burning well. Firelighters, dry kindling and matches. With regards to tools, a poker and tongs, fireproof gloves and a good quality fire proof dustpan and brush. A moisture meter can also be a very useful piece of equipment if you are seasoning your own logs. 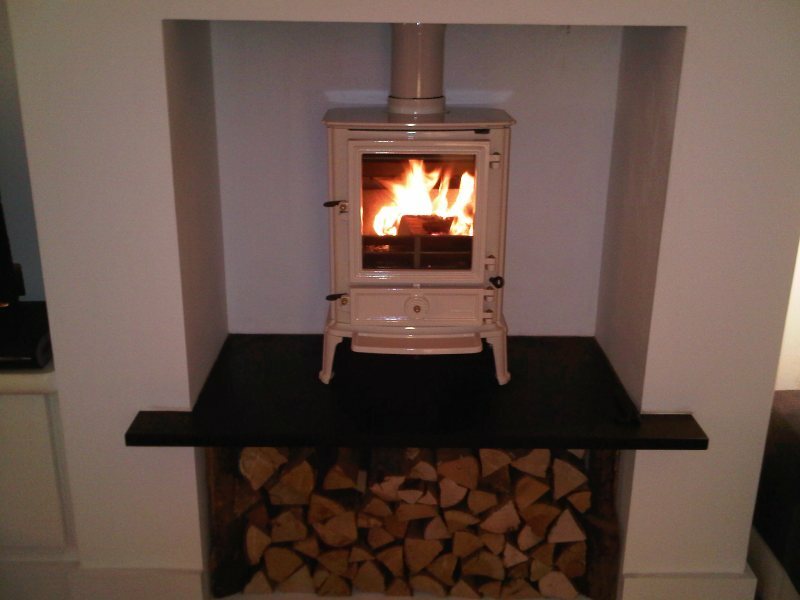 It will indicate moisture levels in the wood you use to ensure you burn properly seasoned wood in your stove. 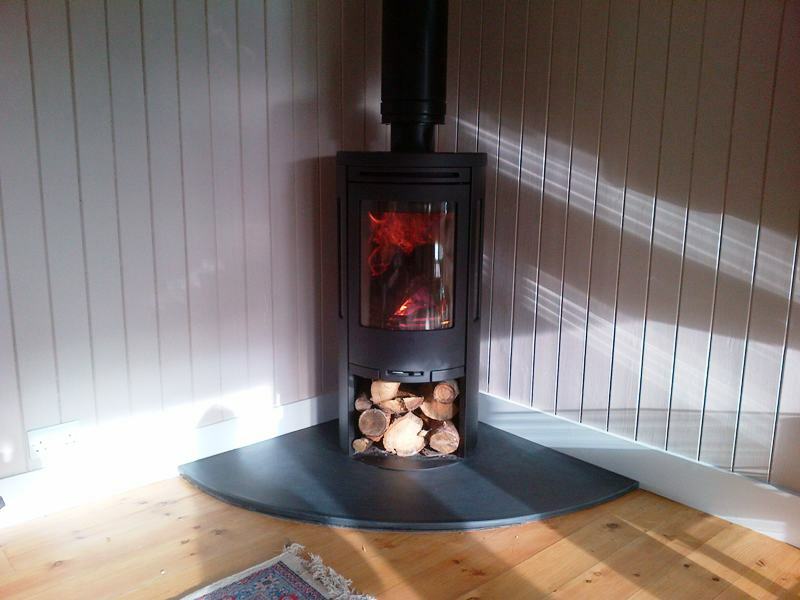 Wood is usable once the moisture content is below 20 per cent. 1) Place the firelighters and dry kindling in the fire box. There are two methods; place the firelighter and then form a wigwam over the lighter using lots of kindling. Or make a ‘Jenga’ tower with 8 pieces of kindling and then place the fire lighter on top. 2) Ensure that all the air controls are opened fully. 3) Light firelighter in a few places to make sure the fire burns evenly. 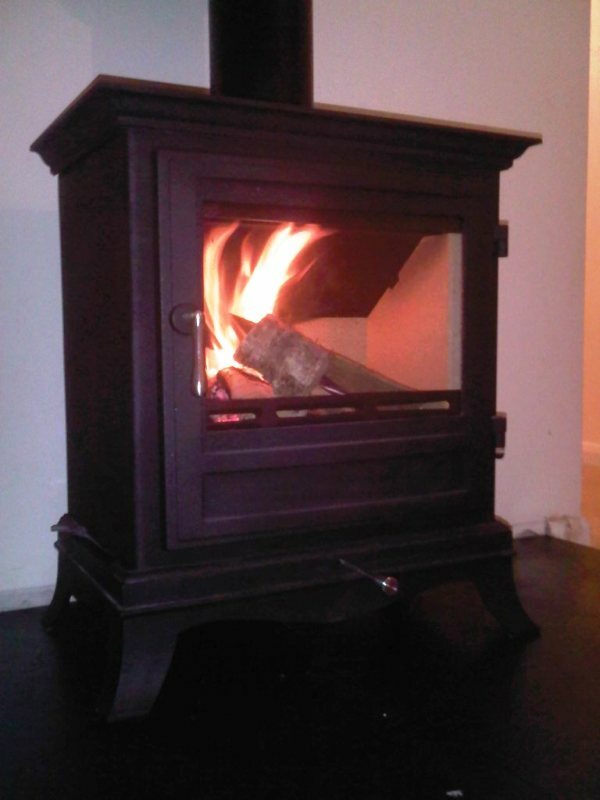 4) Leave the door open slightly for a few minutes to help the combustion and to heat up the firebox more quickly. 5) When the kindling wood is burning well, add a few small logs above the flames and close the door but keep the air controls open still. 6) After about 20 minutes or so, when there is a good glowing fire, adjust the air control. Add more wood when required. The wood will start to burn slower but more efficiently at this point. Have You Got A Smoking Stove When You Light It? A common problem The Billington Partnership hears about from some clients is that smoke sometimes enters the room when a stove is lit. It is worth pointing out that ‘warm air rises and cold air sinks’. In the colder, wintry months, the air temperature drops considerably which can create a pocket of cold air to become trapped in the flue. This means that when the stove is lit, the rising smoke hits the pocket of cold air and can be drawn back down the flue into the stove. Then out into the room through air vents. The main reason for this is due to the initial rising smoke not being hot enough to pass the blockage. To prevent this and for a chimney to operate properly, the flue must be warm compared to the air surrounding it and therefore primed first. Priming your stove is an easy task. Set out your fire as usual but with two or three more firelighters and more dry kindling in the firebox. 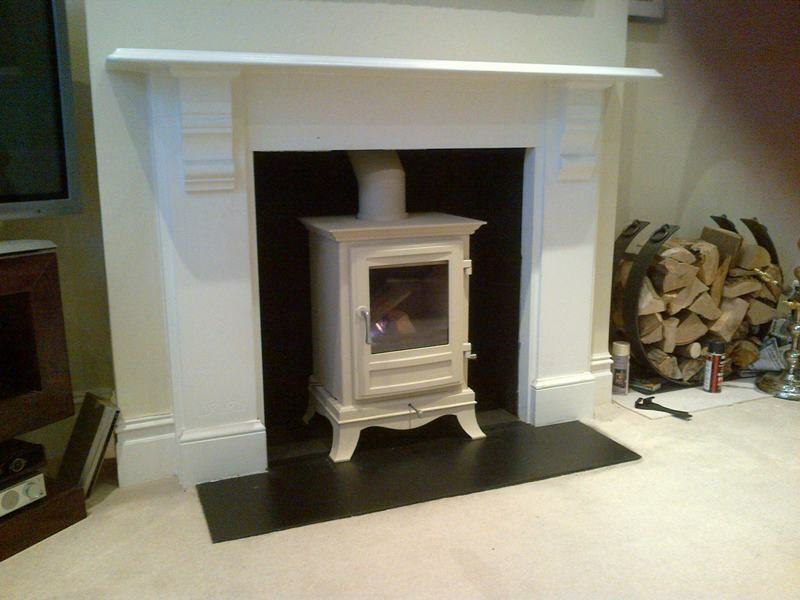 It is essential to get flame into the flue quickly. Newspaper tends to create smoke which can’t punch through the cold air. 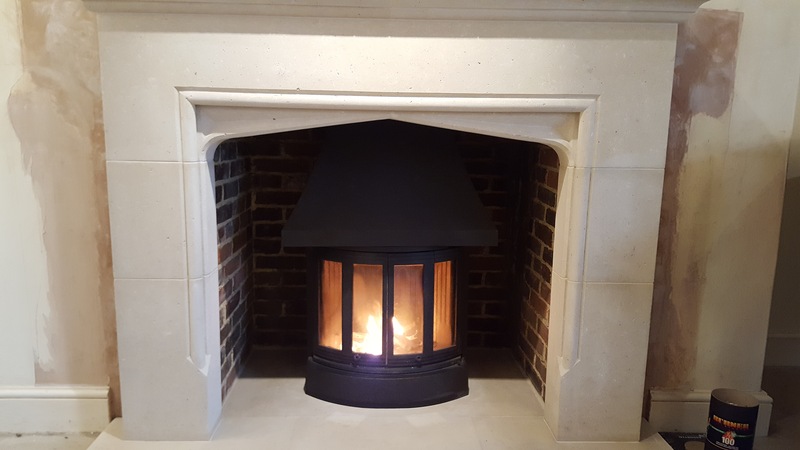 In cold weather, more attention is required at the start to ensure that the chamber and flue become heated as quickly as possible. 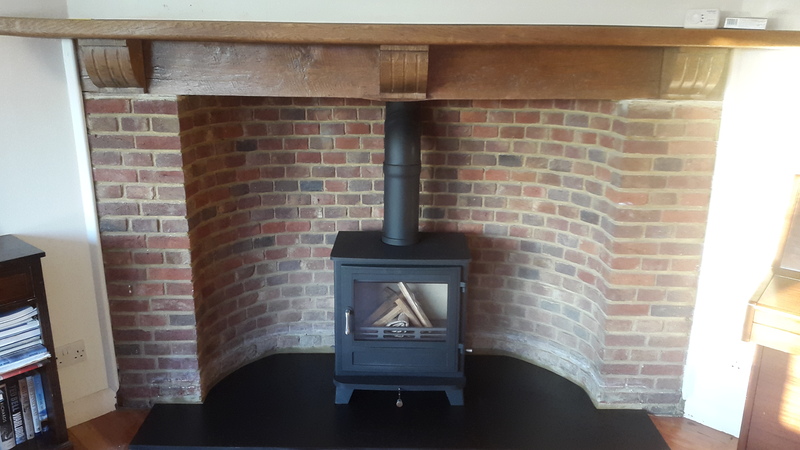 If you are considering on installing a wood burning stove and would like a little help deciding, then give The Billington Partnership a call today to see how we can help on 07545 855623.